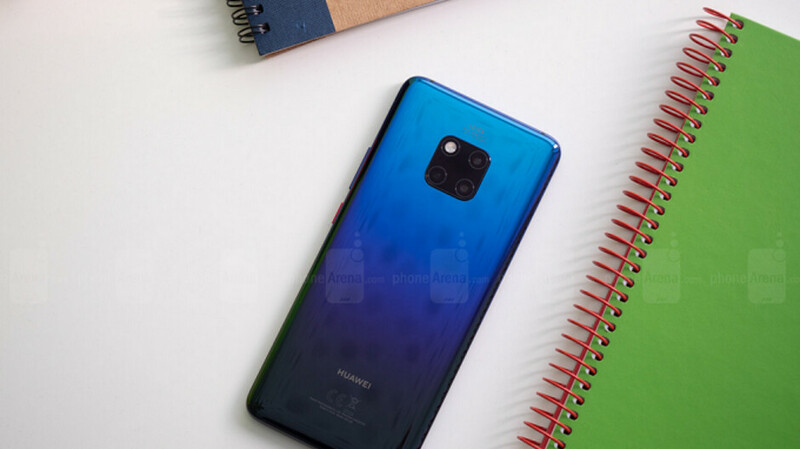 Huawei has already announced that it has exceeded its target and shipped more than 200 million handsets in 2018. But how does this achievement translate into top line growth for the beleaguered Chinese manufacturer? According to Reuters, Huawei's rotating chairman, currently Guo Ping, says that the company's revenue will hit $109 billion this year. That is a 21% hike from last year and is the highest growth rate for the firm in two years. This year also marks the first time that Huawei has surpassed $100 billion in revenue. The high growth is occurring despite warnings from the U.S. government to its allies not to use Huawei phones or network equipment. Since 2012, Huawei gear has been considered a threat to U.S. national security with fears that its devices and components could send confidential information to the Chinese government. And with many carriers outside of the states building out their 5G networks, the U.S. worries that many will use Huawei networking equipment. In fact, the company has 25 contracts to build 5G networks globally. Huawei is the largest supplier of such equipment worldwide, and is also the second largest smartphone manufacturer worldwide after Samsung. Last week, speculation arose that President Donald Trump will sign an executive order next month that would ban U.S. companies from using telecom equipment from Huawei and its fellow Chinese manufacturer ZTE. Both companies deny using their equipment to spy on consumers and businesses in other countries. Poor USA accusing Huawei without evidence! While Cisco had NSA backdoor build in and you even spied on allies! USA cannot control the world they are not the boss! You are still in denial about Huawei being shady. For the record, no one is saying that the US is innocent here. Yeah our government may be shady at times, but at least we have the right to speak our minds and get them out of office whereas China is purely communist. But Huawei is innocent. P. S. Cue the usual Huawei apologists to come in and deny and deflect. Everyone knows Huawei 'stole' Cisco's source code to build its networking and telecom business without spending billions on R&D and helped by cheap loans with flexible terms from state owned banks and therefore undercutting the competition. Reverse engineering is much cheaper than R&D. You can't debate that with '50 cent party' members though, they are brainwashed sheep hired by CPC with only one agenda and that is to further the communist cause. BS. huawei stole from Samsung just like Apple did. Did you even understand my post? I'm talking about networking equipment not phones. Yes, they did steal phone designs and features from Samsung like every other manufacturer. I rather be spied by China knowing they arent bombing kids in Yemen and creating wars for profit. If anything the world should be worried by USA as history has showed. Not bombing but take your organs instead. Correct, China is not bombing kids but they put a million of their own citizens is forced detention in 'internment camps' and make anyone who show dissent disappear. Words like 'freedom of speech' and 'human rights' are avoided like plague on their social media. For sure they are doing shady stuff with minorities in their own country. But I have never seen them either support or actually go to war with a country in recent decades. Why should I care who they spy when I know their foreign policy is miles miles better than the USA one? You have created 13 wars in 20 years. Millions of innocent people have died all over the world. Middle east is in ruins. China on the other hand are heavily investing in third world countries. They are building railway roads in Africa. Power Plants in Latin America. Ye they have issues and arent saints(they hate religion, are messing with Hong Kong, Tibet issue). But seriously I rather have them spy on me than USA for so many obvious reasons. There are literally 3-4 countries in the world that hate China. Half the planet hates USA. And for a good reason. You are totally missing the point. If I criticize govt or its policies in US or even Trump, I get away, nobody gives a s**t because its a free society. You try that in China and you will disappear or end up in a labour camp. That alone is scary enough and I'm from South East Asia where China is having border disputes with India, Vietnam, South Korea, Japan and don't forget they are also claiming Taiwan and whole of South China Sea. They have already taken over Tibet and Aksai Chin that was part of India and its just the start since they are becoming more and more aggressive. I'll rather have US spy on me reason being if I criticize their govt, I can still go on a vacation there and feel safe. I can't say the same about China. Infrastructure projects that they are building around the world are debt traps, Maldives and Sri Lanka know that first hand. It seems you have a lot to learn about geopolitical environment in South East Asia. If you want to believe in bunch of articles scavenged from millions of others that prove my points than be my guest and keep living in La La land. No one is asking where you'd rather live. This is about spying, and the US should be the last country on earth to be concerned about China's spying capabilities. And guess what, majority of the US allies aren't buying the Americans BC anymore, I mean why should they trust those who were spying on them in the 1st place. Do you even realize how ironic the Americans sound when they're telling their allies like hey listen, yes we do spy on you, but you should be worried about the Chinese because they're trying to beat us and spy on you as well. P. S. Cue the usual US government apologists to come in and deny and deflect. The real issue is something else it's all about control , They aren't banning lenovo or motorola despite being made n owned by a Chinese company. Either-way don't think china should be given the benefit of the doubt they have used ways to hurt foreign companies too in ever way possibile. China don't care about anything only economic dominance over the world. the issue is creating a level playing field , even just Korean companies n Japanese companies can attest to all the b.s china has done to them let alone our companies. They aren't banning lenovo or motorola because they don't make networking equipment. Huawei phones are not "banned" in the US either, just the US carriers were strongarmed into dropping the deals they had just set up with Huawei. Welp! So much for Huawei going down due to accusations made against them without any evidence to support it. And I’ll also add that Huawei exectutives have maintained a level of professionalism throughout this ordeal that is to be commended. Kudos to Huawei for pushing on through this and increasing their revenue. Huawei isn't going down, they are thriving in Asia and India. The worlds largest and fastest growing market. 300mil Americans ain't going to hurt Huawei which is no1 in a market of billions. Oh, I know this. But the "I hate Huawei" elite members swear otherwise. But 1 billion (if we count Russia too) of the richest consumers in the world would. You really think Russians ( 150 million people ) will listen US warnings without any evidence? Russia and China have been allies and still have cooperation treaty. Huawei is market leader there. However Apple has been previously banned and that can happen again. Huawei is also flourishing in Europe. Just recently Germany investigated their devices and found nothing suspicious. Germany together with France are a leading countries in EU ( 500 million people ). Case Snowden is still in fresh memory and current US Government is not considered trustworthy. Until solid evidences this ban is just an trade war operation. Fake news. Huawei will do just fine without US. Russia is nobody’s friend. France and GB have already passed Huawei’s equipments to build the 5G networks and Germany is also “looking into” the possibility. EU countries will take its time and will make sure the economy won’t suffer (but rest assured, just like it raised import taxes four times for some Chinese products in the past, it will sure do it again (not to mention the fact that Nokia, Alcatel, Siemens, Ericsson are all European companies so EU has a perfect excuse to keep the money in Europe). Indian here....Huawei is not thriving in India. They just sell a bunch of phones even less than xiaomi here. Please don't make a fool out of yourself. They have banned Huawei's 5G networking equipment not their phones. They are separate things.